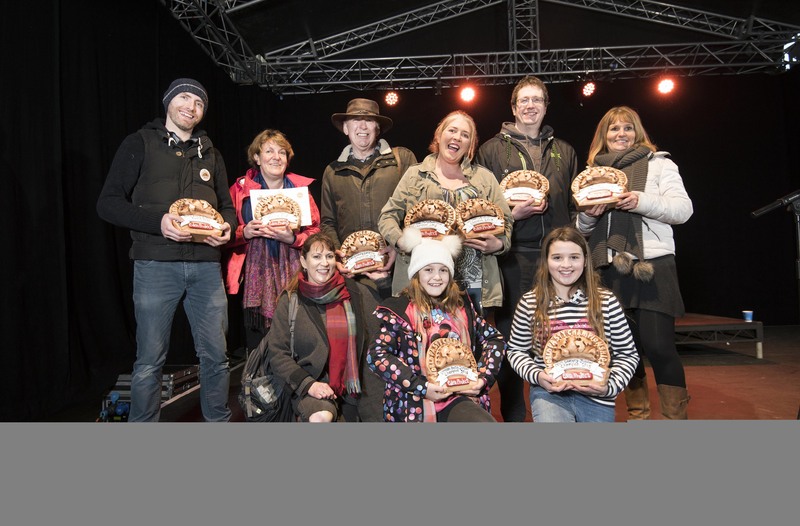 The Beast from the East made way for the Best of the West at the World Pasty Championships over the weekend. Pasty makers from across the globe defied a week of extreme weather to descend on Cornwall’s Eden Project on Saturday (March 3) for the seventh annual World Pasty Championships. More than 200 pasties were entered into the competition, the highest number in the history of this grand celebration of Cornwall’s foodie gift to the world. The event was the finale of the first-ever Cornish Pasty Week. Among the big winners was the Pure Pasty Co., based in Vienna, Virginia in the Washington DC suburbs, who were victorious in the Open Savoury Company category with a barbecue chicken pasty made with sweet potato, zucchini, red pepper, corn and pineapple. Burgess was one of a number of contestants from North America, a contingent that also included 2017 Cornish Pasty Professional winner Gerry Ramier, from St. Catherine’s in Ontario, Canada, and 2016 Pasty Ambassador Matt Grant, from Ottawa, Canada, who travelled with his Canadian colleague Lauren Trick. A group of pasty enthusiasts from Bristol, who have entered the competition every year it has been running ,were awarded the Pasty Ambassador award. This was the first time the award has been given to a group rather than an individual.